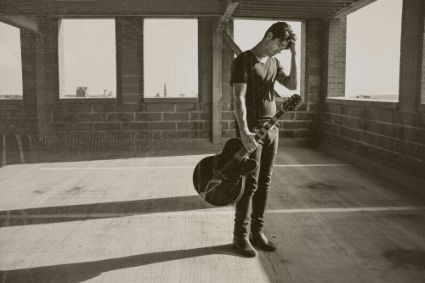 New York based blues artist Rett Smith is set to release debut EP ‘Tularosa’ on September 18 via Inkind Music/RED. ‘Tularosa’ is Rett’s first official release and it encapsulates his work as an artist thus far and snapshots his upbringing. The six-song EP is named after a downtrodden village in Otero County, New Mexico. The visual imagery of this beat town conjures the rugged Americana and poignant and poetic slant of the lyrics on ‘Tularosa’. Rett Smith’s distinct musicality conjures up hard luck blues, outlaw country, 1960s garage, and early rock n’ roll. He writes storyteller songs that he sings with a honeyed drawl that’s both paternal and penetrating. His aesthetic draws from a heritage of 40s, 50s, and 60s country and blues artists passed down by his father that includes such artists as Hank Williams, Waylon Jennings, Reverend Gary Davis, and Buddy Guy. Up next, Rett is planning to hit the road, and he also has two albums of material in reserve for future releases.